With the arrival of the Canadian Pacific Railway in this area of Manitoba, in 1885, the community of Newdale moved from its former location (which later became known as Oldale) north to the railway line, in the Rural Municipality of Harrison. 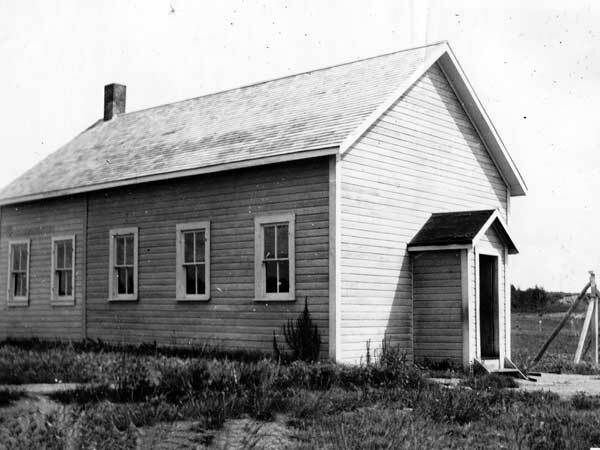 A school was established at this site and named Harrison School No. 431 because the school at Oldale, called Newdale School No. 265, remained in operation. 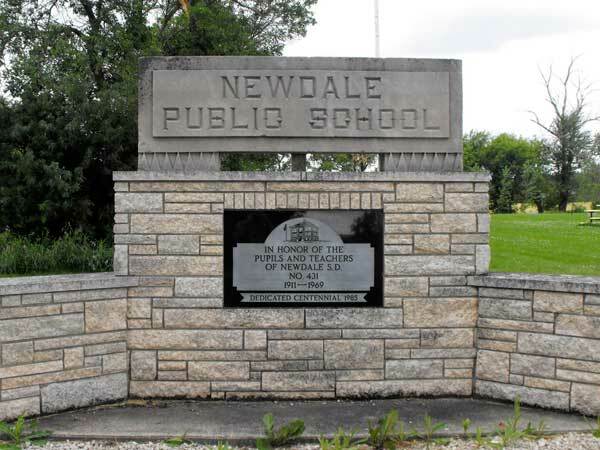 This caused confusion so, in July 1917, Newdale School was renamed Oldale School, and Harrison School became Newdale Consolidated School, with the addition of several surrounding rural schools that closed around this time: Rosemount School No. 319, Pattison School No. 1376, and Lone Tree School No. 1597. 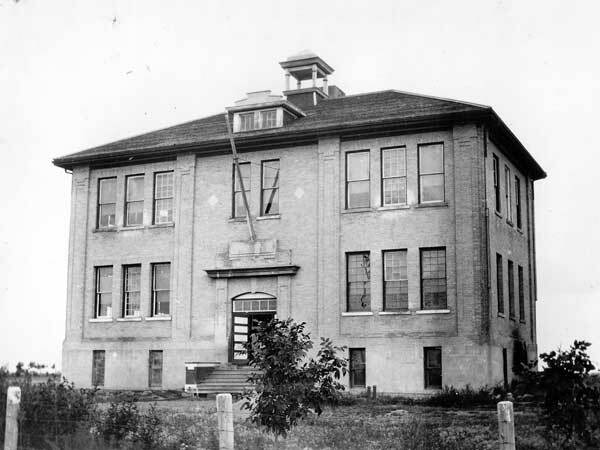 The two-storey, brick structure for Newdale Consolidated School building dates from 1911, when it was built on a design by Brandon architect W. A. Elliott. It operated until 1969 but all that remains at its site today is a cairn, dedicated in 1985, and its name plaque. Obituary [Agnes Ellen Sisler], Winnipeg Free Press, 4 August 1981, page 71. This page was prepared by Gordon Goldsborough, Allan Drysdale, and Nathan Kramer.